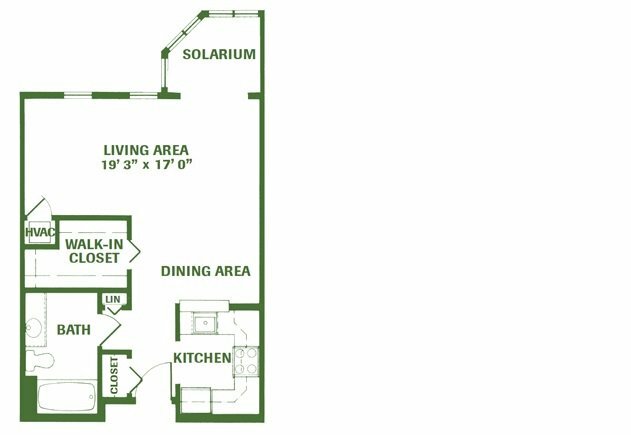 All our spacious resident homes and cottages are beautifully designed with full kitchens, new appliances, window blinds, and plenty of light-filled solariums and living spaces. 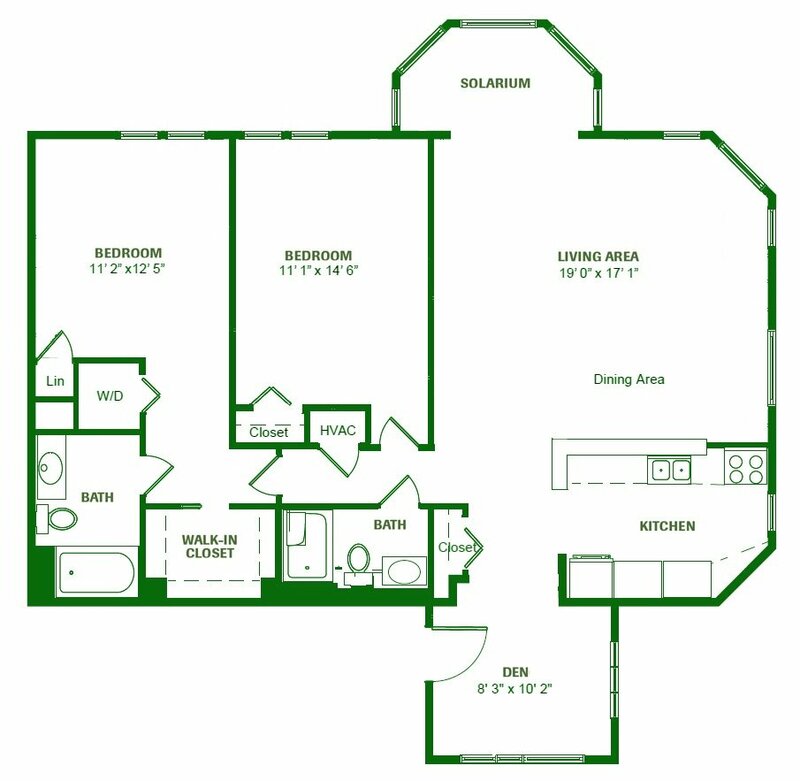 All of our homes can be personalized to reflect your individual taste and preferences. 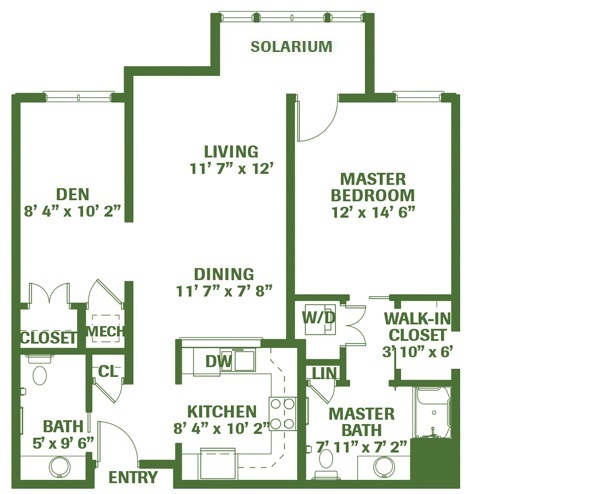 Many of our floor plans include screened porches and/or balconies. 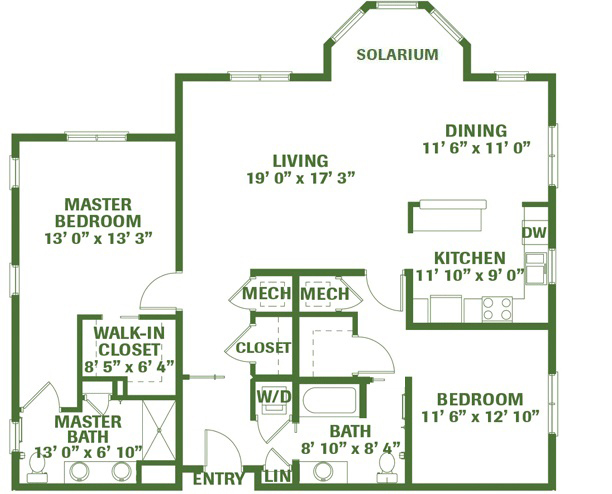 I thought downsizing would be difficult. 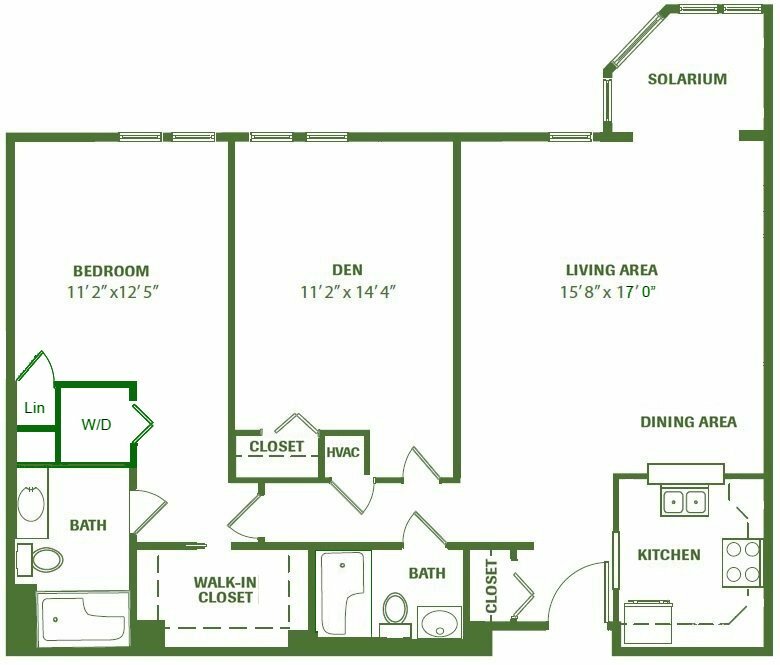 Now that it's done, I don't miss any of it. 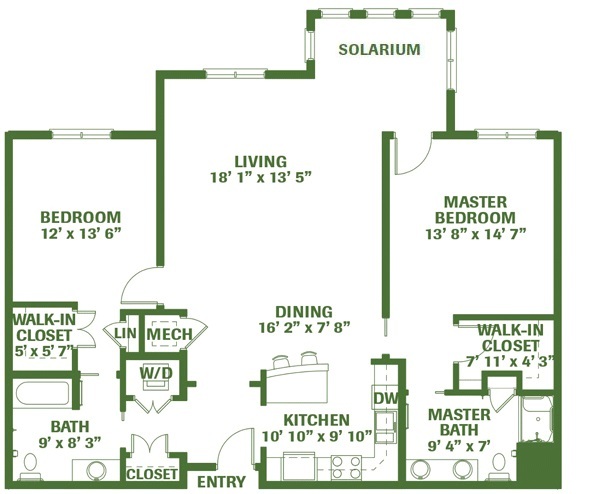 I may have fewer "things" now, but I'm living a larger life! 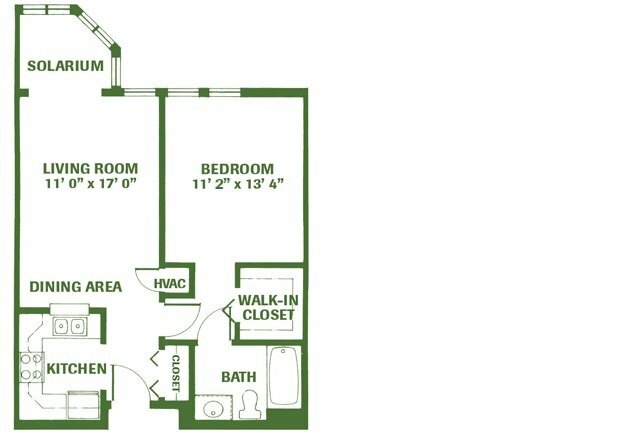 Studio, one and two bedroom options available. 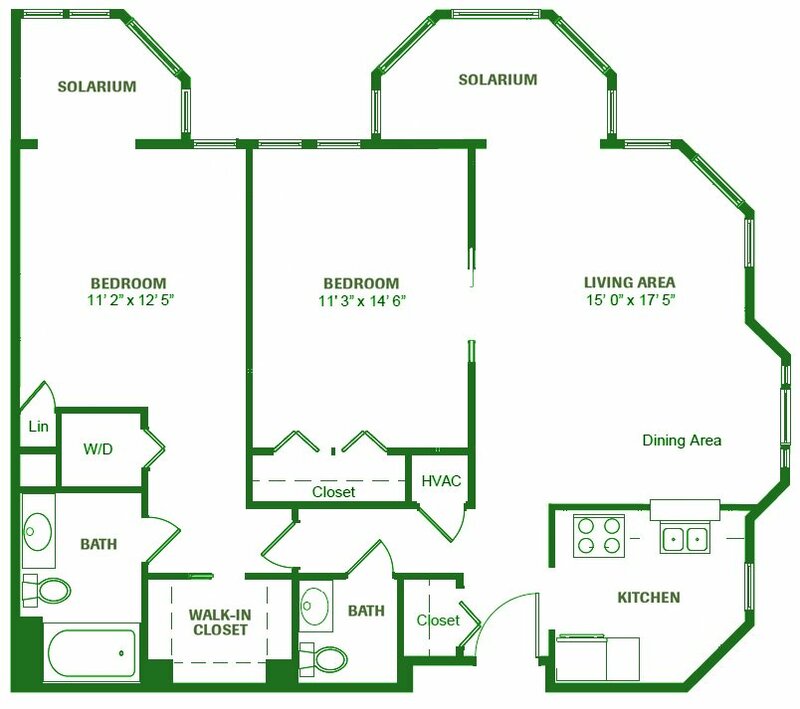 We offer options for wall color and flooring, with many custom upgrades available. 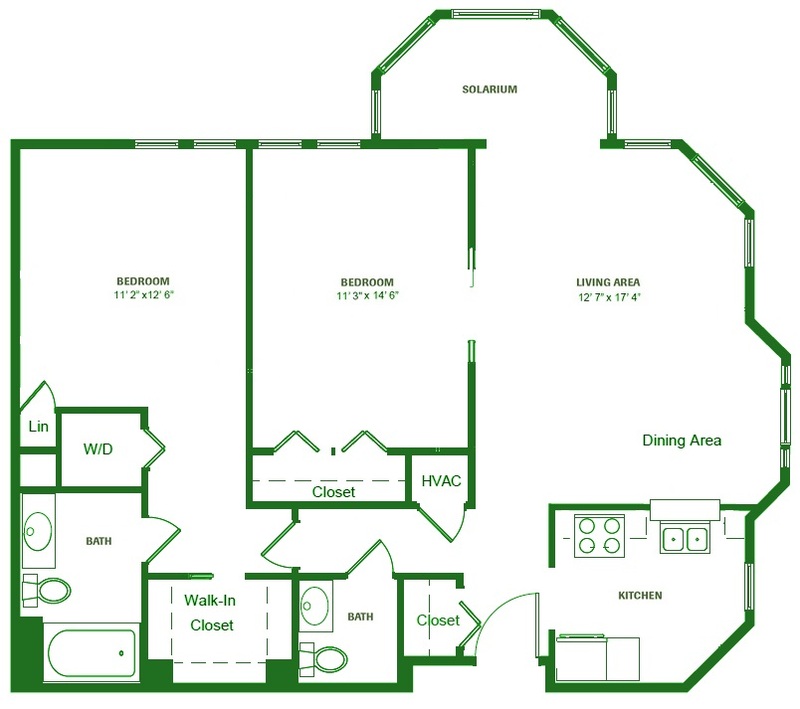 All our homes can be personalized to reflect your individual taste and preferences. 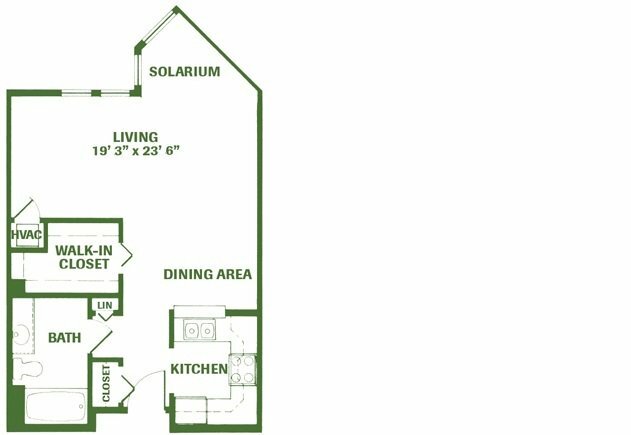 Our homes have everything you need. 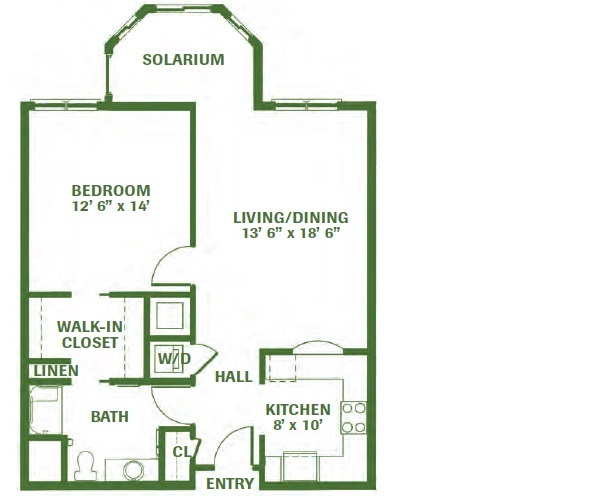 Many of our floor plans include screened porches and/or balconies. 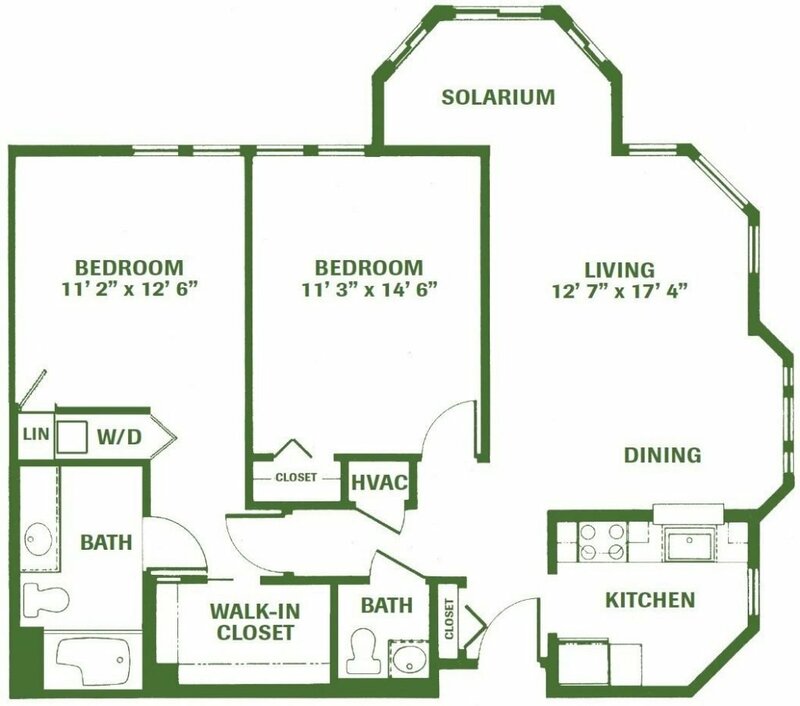 Updated, full kitchens with all major appliances. 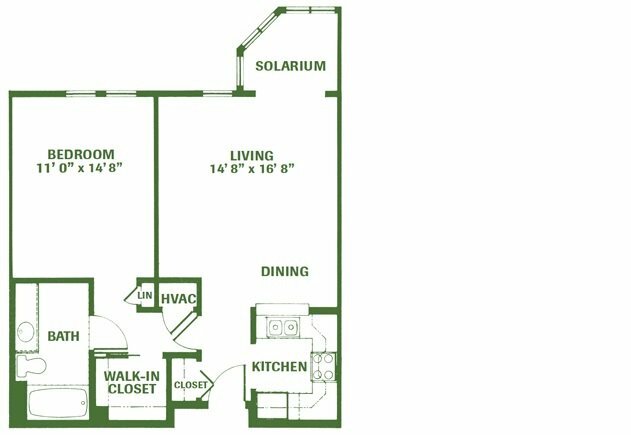 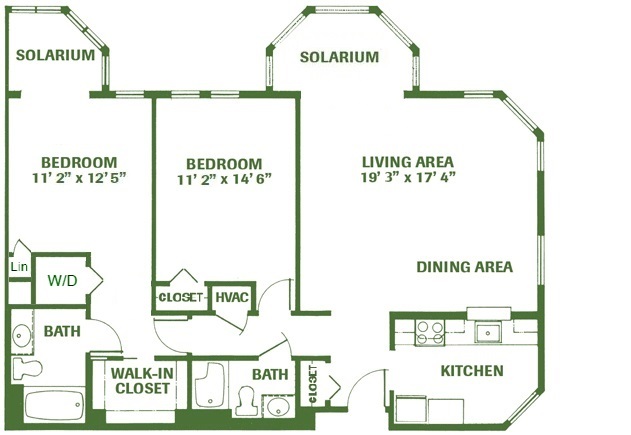 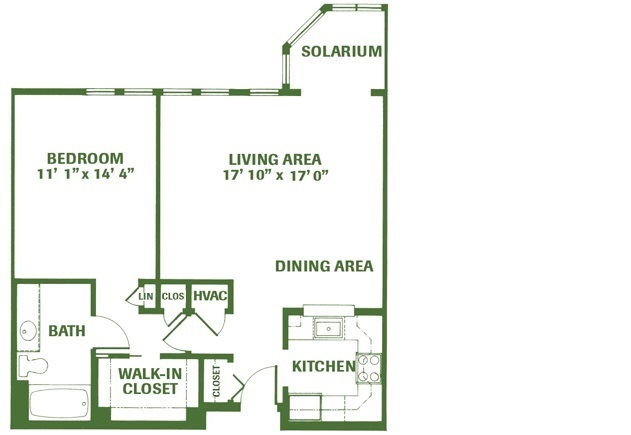 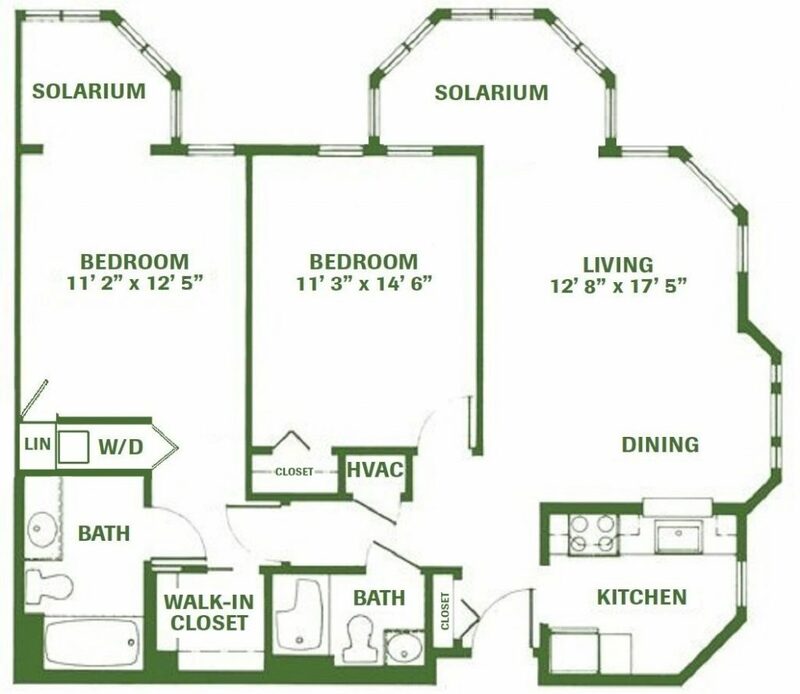 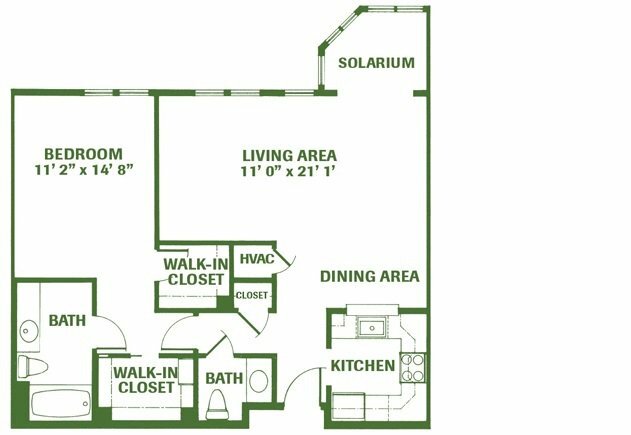 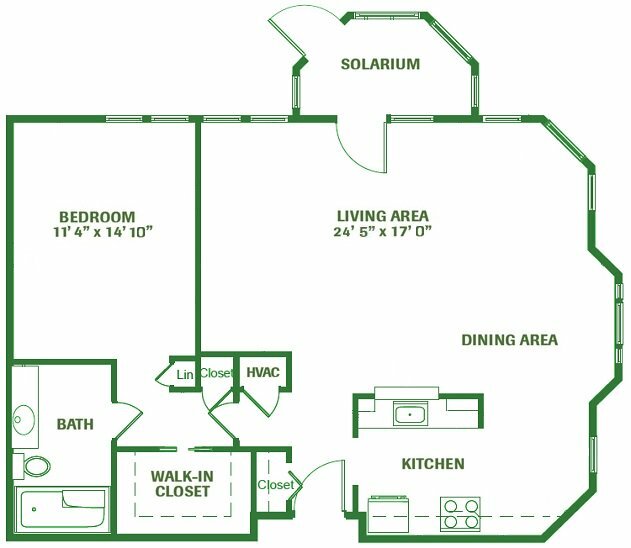 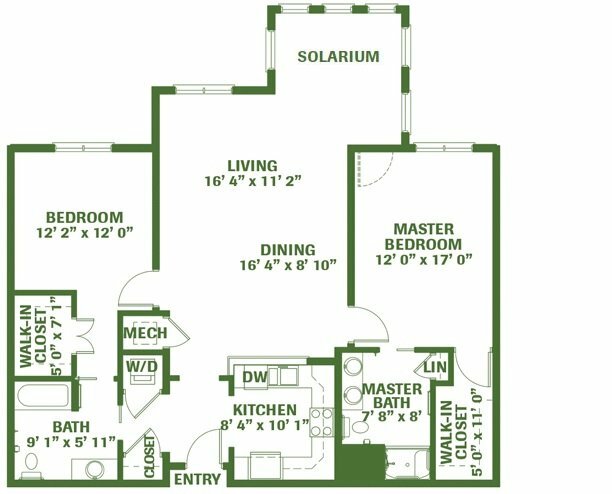 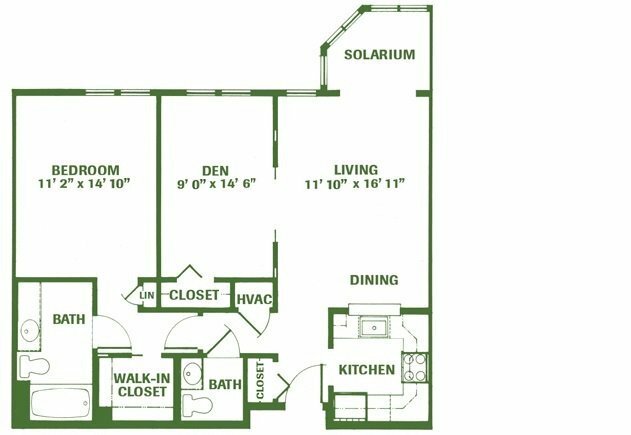 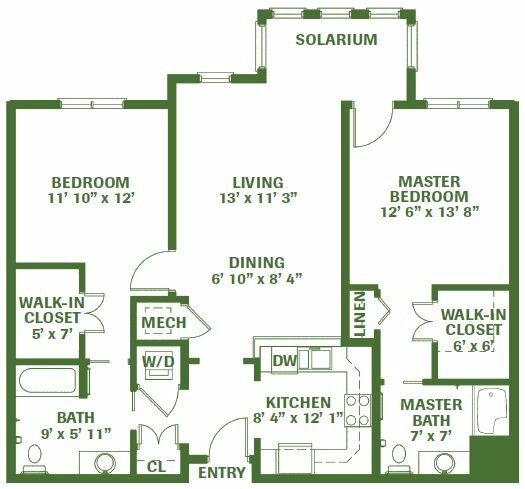 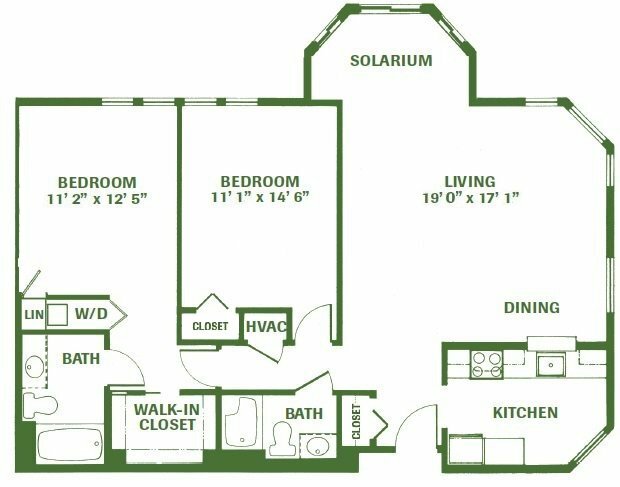 Most of our floor plans include solariums. 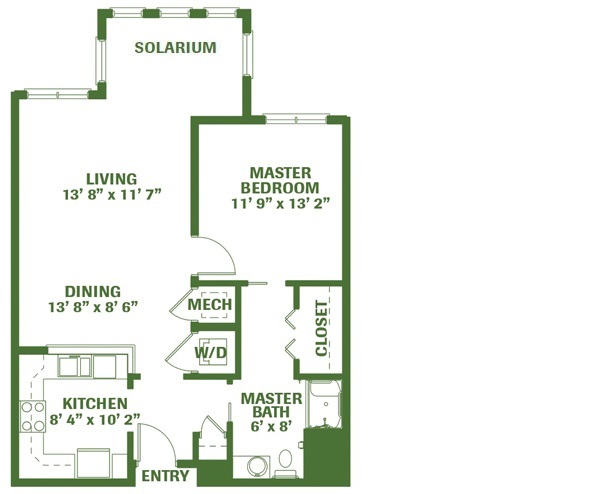 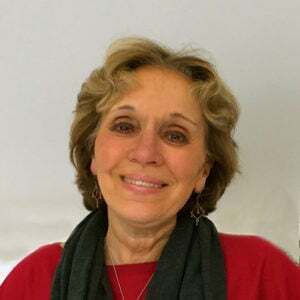 If you'd like to see these floor plans in person – schedule a tour with Diane!